WASHINGTON, July 23, 2018 /Christian Newswire/ -- This week, U.S. Secretary of State Michael R. Pompeo will host the first Ministerial to Advance Religious Freedom at the U.S. Department of State in Washington, D.C.
Beginning tomorrow through Thursday, more than 40 foreign ministers, as well as religious and civil society leaders from around the world, will gather to discuss challenges to religious freedom, identify ways to address persecution and discrimination against religious groups, and promote greater respect for religious freedom. Liberty Counsel has been actively involved in the planning and discussions regarding this ministerial. U.S. Ambassador-at-Large for International Religious Freedom Sam Brownback, a key catalyst in the development of the ministerial said, "Two key objectives of the Trump administration are reduction of terrorism and growing the economy. With religious freedom, you get both of them. It is also a fundamental human right under assault in much of the world. The intent is really to drive the issue of religious freedom more aggressively globally, and the outcomes are really twofold that we intend to get out of it: less terrorism, more economic growth." U.S. government officials will share policy priorities and solicit civil society representatives' views on the religious freedom situation around the world. Members of civil society groups, including religious leaders and survivors of religious persecution, will convene to tell their stories, share their expertise and build partnerships to enhance religious freedom. Government and international organization representatives will discuss global challenges to religious freedom, develop collaborative solutions to these challenges and make new commitments regarding the promotion of religious freedom. 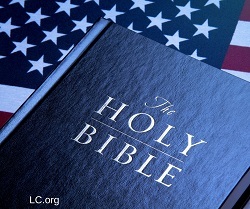 "I applaud U.S. Secretary of State Michael R. Pompeo for hosting the first Ministerial to Advance Religious Freedom this week" said Mat Staver, Founder and Chairman of Liberty Counsel. "Innocent people around the world are imprisoned, tortured and persecuted for their faith. Christians and religious minorities are suffering more persecution than at any time in history. The Trump administration has vowed to fight for religious freedom. This ministerial has never happened in the world and it is encouraging that the United States is the first to host it in order to help defend this sacred freedom around the world," said Staver.